Hey! I’m on holidays this week so Tim from Atypical Finance has graciously offered to help out with this weeks article. Tim knows his stuff, so I asked him to share his best ways to transform your budget. There is some great info in here so I hope you loved it as much as I did. Take it away Tim! I immediately think of Transformers, the movie franchise and old 80’s cartoon and toy line. Transformers look like normal vehicles when they are in their “car” form, but as soon as they transform, they barely resemble their former state. I want the same thing for your budget. Think of a caterpillar into a butterfly, a tree from Autumn to Spring, or Clark Kent to Superman. There are some BIG differences between what each was and what each becomes to the point where it’s almost unrecognizable. Again, I want the same for your budget. Each of the examples above—the caterpillar, a tree, and Clark Kent—is arguably much better after the transformation than before. The butterfly is the caterpillars final and most beautiful form. The beautiful but dying tree in Autumn is trumped by the life-giving Spring tree. Clark Kent is (purposefully) a bumbling, mild-mannered, and unconfident man until he rips open his shirt and takes off his glasses, becoming the confident, caring, and invulnerable Superman (is that all it takes to build confidence?). Each of these transformations takes the original form to a new level. Again…I want the same for your budget. I want to teach you how to take your budget to the next level—to make it better than it is in its current state. Imagine having a transformed budget that will get you to your goals faster, help pay off your debt quicker, and allow you to live your life on your own terms. All of this is possible when you transform your budget. How do you take your budget to the next level? Well, you have to do something different. You have to do things that you weren’t doing before. 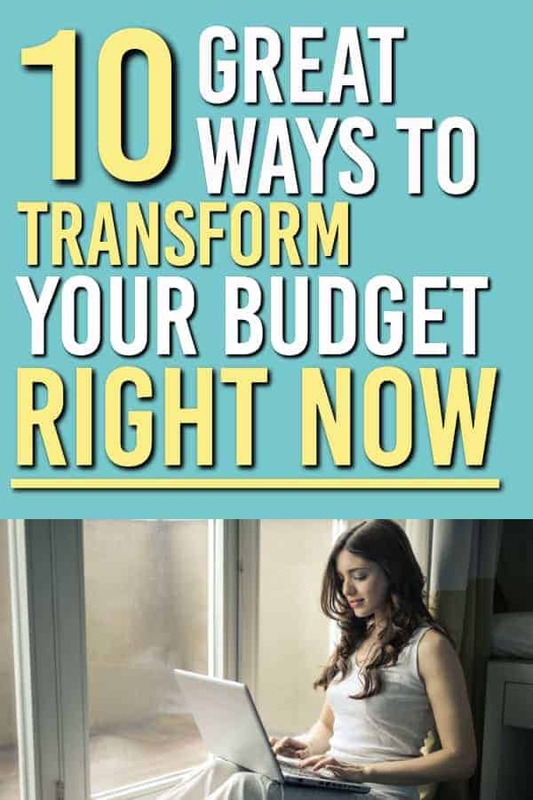 Here are 10 ways that you can transform your budget today. This is the number one thing I always tell people. Figure out what you value, what’s important to you, and then budget around that. In order to figure out if you truly value something, ask yourself these questions. How much time will I spend on this? Is this something you’re going to do or use for a couple of weeks and then be done with it, or will you continue spending time on it? How much fun do I have doing this? If it’s something where you’re always like “meh” then it’s probably safe to stop spending money on it. Is this something I enjoy sharing with others? Sometimes, we don’t consider something valuable unless we’re sharing it with others. If that’s true, then you may still want to spend money on it. Does it continue to create value? Vacations and memories are things that continue to be valuable even when it’s over. A lot of experiences are like this. Just like Andrew, I’m big on Disney trip. They can be expensive but they continue to create value by giving my family and I some awesome memories. Budgeting can be difficult but budgeting according to your values makes it a lot easier. Why? For a few different reasons. First, if you actually get to spend money on things you like, you’re not going to burn out on budgeting. Burnout is a surefire way to lose your spending self-control. Second, if you stop spending money on things you don’t value, you’ll have money to spend on things that you do value. It’s always easier to stop spending money on things that aren’t important to you. If you do nothing else on this list, I encourage you to do this one. Calorie tracking apps are all the rage these days, and rightfully so. They make it easy to track what you eat so you can hit your goals of gaining muscle or losing weight. But we all know that one person who puts all of their meals in their calorie tracker and then neglects their sugary drinks or snacks. They aren’t really keeping track of their calories. Don’t be like this with your budget. Really track your finances. Every penny you spend. And I’m not talking about just tracking your spending in apps that download and enter your transactions for you. Transactions typically don’t clear your bank until 1 – 3 days after you make the transaction so it’s not an accurate way to track your finances. Be proactive about it. Enter your transactions as they happen. As soon as you make a purchase, go home and record it. I know this sounds exhausting but I promise you it isn’t. There are apps you can use like Dave Ramsey’s EveryDollar (free), You Need a Budget (paid), Mint (free), Personal Capital (free) among others. You can enter your transactions manually and then let them sync those transactions up with the bank transactions it downloads. Note: EveryDollar’s free version does not sync with bank accounts. All of these apps have both app versions and web browser versions so you’re never without your budget. Really tracking your money is one of the best ways to reach your goals faster. If you’re seeing where you’re money is going, you can spot holes to plug in your spending. Use a budgeting app above to get the most out of this tip. You’ll have your budget at your fingers tips so impulse spending will be much easier to fend off. It’ll be just as easy to check your budget categories before a purchase as it would be to impulse buy. You’ll know how much is in your eating out budget as you’re trying to make the decision to eat out or not. Your entertainment budget will be available in your pocket the same moment you see that new movie sitting on the store display. Tracking your spending ensures that how much you’ve decided to put toward debt will stay for debt. An emergency fund is basically the safety net to whatever goal you’re leaping toward. The trick for emergency funds is to build one you are comfortable with around where you’re at in life. Instead of taking the generalized approach of recommending “this much” in your emergency fund, I want you to ask yourself three questions to figure out how much you personally should have. How much extra money do you already have per month? If you’re living paycheck to paycheck, you may want to stash a little bit larger of an emergency fund because it may take you a little longer to replenish it. If you have somewhere north of a $1,000 extra each month, your emergency fund may not need to be as high. What is the likelihood of you having a financial hardship? Consider how secure your job is, how young you are, how healthy you are, if someone is going to propose to you and you might need to channel money to a wedding, etc. If you have kids, you may need a little bit more. What’s the smallest emergency fund you’d feel comfortable having? This is what it all boils down to. How comfortable are you with the amount you have to take on a financial emergency? Do you feel comfortable having only $1,000 in the bank, having a year’s worth of expenses in the bank, or somewhere in between? Do what works best for YOU. You can check out this post for ways to build your emergency fund fast. Building an emergency fund, even a small one, is one of the best things you can do with your finances. Like I said, it’s a safety net. Imagine this for a minute. You’re working toward paying off your debt. You’re making good progress when your car breaks down. Bam! $500 car repair bill out of nowhere. But wait a second! You’re not stressed about it at all! Why? Because you have a $2,000 emergency fund that is going to take care of it for you. No stress. No fuss. You pay the bill and keep working toward paying off your debt. That’s the power of the emergency fund. Don’t underestimate how this one will transform your budget. Want to know a secret about my budget? About 10 years ago I had no idea what I was doing with my money. Then, I got educated and started helping other people like you and me with their budgets. Man, did I learn a lot. You can learn more about budgeting from a number of resources. There are a ton of blogs about it and some really good books, too. Education brings confidence. And when you feel confident, you’re more likely to take action. Action is the key to budgeting and personal finance as a whole. You can earn more money, but if you don’t know what to do with it, it won’t grow how you want it to grow. You can spend more money, but if you don’t know what to spend it on, it won’t actually fulfill you leaving you in a cycle of frivolous spending and unhappiness. Instead of continuing to do the same old things with your budget, educate yourself in areas of budgeting you don’t know or aren’t sure about. Then, watch it transform your life. I have two separate budgeting notes in Evernote. Both reflect my actual budget but in different ways. One is the standard monthly budget that you’ve heard so much about. The other is split into two pay periods. I get paid on the 15th and last day of every month. I arrange my bills that are due on specific dates to match up with my two paychecks. For example, any bill due after the 15th of the month is taken care of by my paycheck from the 15th. Any bill due from the 1st through the 15th is taken care of by my paycheck on the last day of the previous month. Then, what I can do is place my budgeted categories that don’t have a specific due date—such as eating out or grocery budget—and place them where I see fit. If I have a lot of bills due on the first, I can replenish my monthly eating out budget using the check I get on the 15th. This frees up my paycheck from the last day of the month to take care of the numerous bills due in the first half of the month. Boom! Almost everyone gets paid two times a month. Splitting your budget up in two gives you greater control over your money. Like me, you can decide when to replenish your categories like eating out, groceries, gas, entertainment, and anything else that doesn’t have a solid due date. What I like to do for some of my categories is also split them up as well. For example, for our $400 grocery budget, I have $200 set aside from one paycheck and then the other $200 set aside for the other paycheck. It helps me keep control of my spending. Splitting your budget in two also simplifies budgeting. It can be daunting figuring out where to put all of your money for an entire month. Splitting your budget means you only have to budget for half a month at a time. As a bonus, this also reminds you to pay your bills so you’re never late or get charged fees. This is something I struggle with in more areas than just budgeting. Education, as I mentioned above, is a big piece of budgeting. But an even bigger piece is actually acting on what you’ve learned. After you get educated, put into practice what you’ve learned. Simple as that. Yes, it can be hard. Yes, it might make you uncomfortable. But think about how uncomfortable you are in your current state of budgeting. I’d rather be uncomfortable doing something to better my financial future than be uncomfortable from not being in a good financial state. Taking action is what transforms your budget. The fastest way to make a change in your financial life is to actually make a change. Learn something and then do it. Try something you’ve never tried before. I still love learning about personal finance, and I’m beginning to love taking action and trying new things as well. But there is one part that I’m still learning to be ok with. With taking action, not everything is going to work for you. One thing I preach about personal finance is that not everything that works for me is going to work for you. The exact opposite is true as well. What works for Dave Ramsey might not work for you. What works for your best friend might not work for you. That means you’ll have to try things and fail at things in order to figure out what does work for you. And that’s OK! There is no shame in failing if you are trying to better yourself. Being ok with failure is an incredible mindset shift. Not only do you see opportunities in your failure instead of problems, but you no longer blame others as well. When you blame others for your failure, you have a way out. You didn’t fail, they failed you! If you’re not the one that failed, then you have no reason to try again. But remember, there is no shame in failure! You also gain more mental freedom when you are ok with failing. You stop beating yourself up about it. When you have this freedom, you find clarity in what you should do next. You can clearly figure out what you learned from your mistake instead of having brain fog from failing. Shift your mindset and be OK with failing! Here’s another secret about budgeting. What used to work for your budget might not necessarily work for it now. At the same time, what’s working for your budget now is probably not going to work for your budget at some point in the future. If you feel like you’ve hit a plateau in your budgeting, try switching up your method. There are several great budgeting methods you can use to try out. Do your research and pick one you want to try and that feels right for your current stage of life. You can also use principles from several different methods and create your own like I did. Many people think they are failing if what they’re doing for budgeting stops working for them. The truth is that as you grow your needs are going to change. Who you are will change. Your budget may not be working for you anymore because it was made for who you were. Then, watch as you pass that plateau right up. One thing that I think has been lost in this day and age is the spirit of generosity. I think that’s partly because we’re taught and believe that we should take care of ourselves first before others, even in the personal finance world. What I try to do is marry the two schools of thought—making sure my needs are taken care of and being generous to others. What you can do is set up a category in your budget for random acts of kindness or charitable giving. This way, just like an eating out budget that you find valuable, you’re not feeling guilty for giving the money away. You’ve planned for it and that’s where it’s supposed to go. Despite knowing that the money could go toward something else in your own life, generosity is very rewarding. When you’re generous to others, you immediately feel amazing. There’s no other word to describe it. And when you feel amazing, your brain makes new connections on how to continue to be good with your money. You’ll feel good about asking for that raise you deserve. You will be confident in what you’re spending your money on and what you’re saving for. You will want to find a way to bless more people. It changes your whole mindset when you begin to think of others before yourself. I know it literally makes no sense but when you are generous you will feel like you have more. Do you ever feel bad about any of the financial mistakes you’ve made? How about feeling bad that you’re not further along than you are right now? You are never going to be perfect in anything. But you are perfectly you. Figure out what you value, budget around that, and realize that you are never going to have it all together with personal finance. The key is to keep learning. If you keep learning, you’ll be on your way to financial greatness. When you realize you don’t have it all together—and that it’s ok—you no longer have to compare yourself to others. As you practice no longer comparing yourself to where others are at financially, you stop comparing yourself in other areas of life as well. Realizing that shouldn’t make you not want to strive for your goals or better yourself. Realizing that should make you want to better yourself even more. Think about being in a great relationship. When your relationship is secure and the love is unconditional, you want to do everything you can for the other person. Contrary to popular belief, it does NOT make you lazy and stop doing things that will please your partner. That’s not how love works. You are much more likely to want to please someone who you know you don’t have to please. Just like in a relationship, if you truly love yourself, you’re going to want to do things for yourself and be the best person you can be. You’re going to want to keep getting better because you’re good enough already. I love budgeting because it is the foundation of all other areas of personal finance. With a good foundation, you can build something huge and magnificent on top of it. Transforming your budget can literally transform your life. You’ll soar past your current plateau, reach your goals faster, and realize that there’s nothing you can’t do. Do some of the above tips, or do all of them. Solidify the foundation of your finances and continue moving forward. 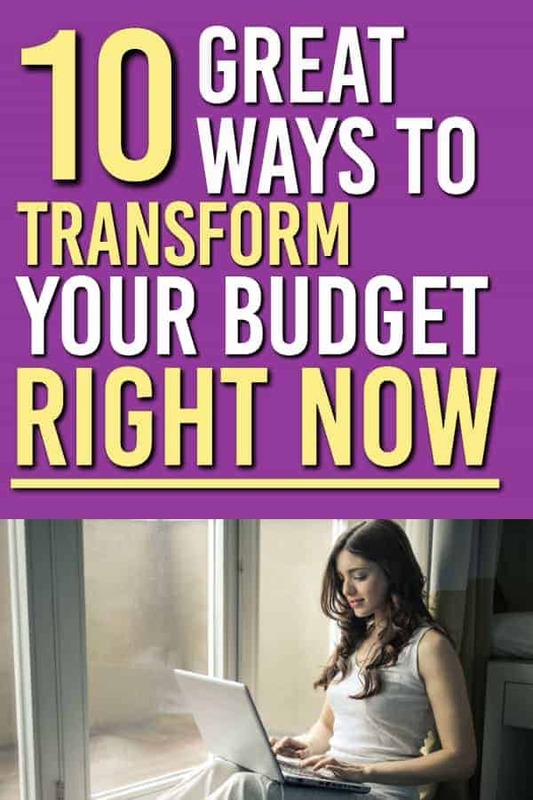 Which of these are you going to do to transform your budget? Next up: Do you have an emergency binder? Here’s everything you need to know. Tim Jordan is a personal finance and budgeting expert who believes that your money should help you be who you are, spending and saving as you see fit. 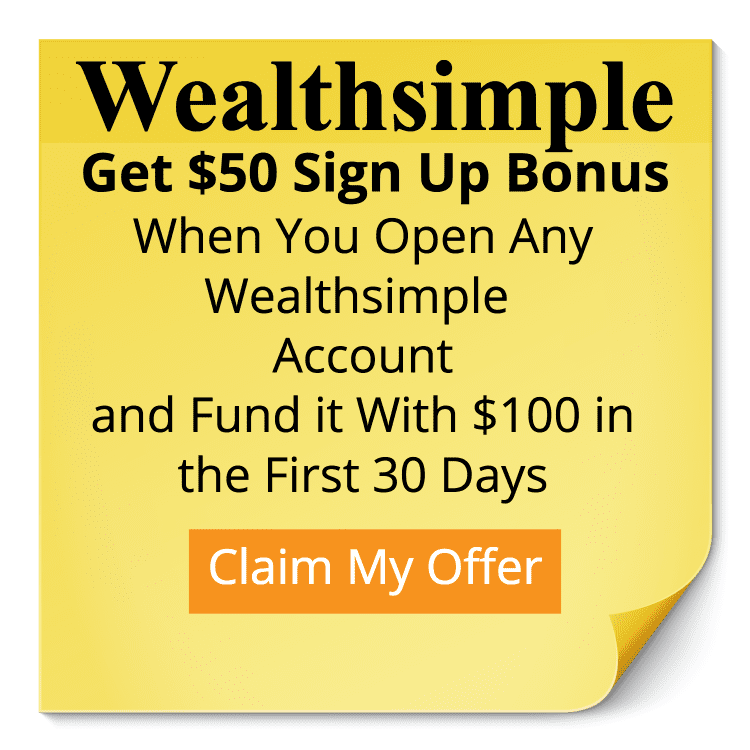 He is the owner and founder of Atypical Finance where he teaches and guides you in writing your own personal finance story, helping you build a life that YOU want. If you rule your money, you will rule your life.